Our August 50 mile challenge was a complete success! The final total included 25 fire wives! In just August a total of 1322.15 miles were recorded!! That is just an amazing number for just one month for busy women! To compare that to a distance, the 25 wives walked from Washington DC to Oklahoma City! That is halfway across the country!!! We have a new Challenge to offer. The weather is getting cooler (for most of us), leaves are changing and football season has started! FALL IS IN THE AIR! 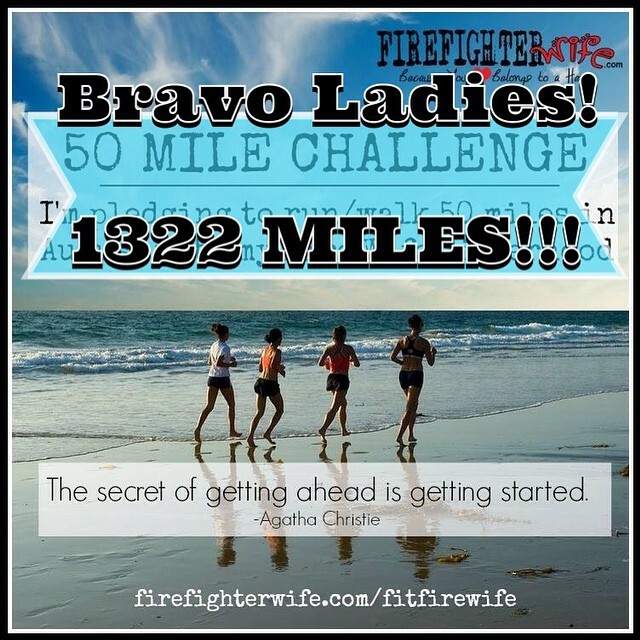 Since Fire Wives are amazing, and they can handle anything, I am going to challenge you to Fall into 60 miles! Everyone rocked the 50 miles challenge, so I want to push the limit and I want everyone to rock 60 miles!!! This is just 2 miles a day!!! Can you do it? I believe that every fire wife can beat this challenge!! Every Saturday you can turn your total for the week into the Fit Fire Wife Facebook page. At the end of the month, every member that hit the 60 mile total will be put into a drawing for a special prize. One winner will be pulled! Fit Fire Wife is a Sisterhood member only program. 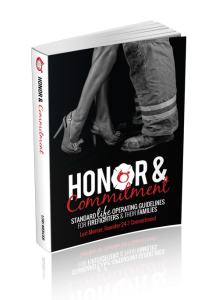 If you are not a member of the Fire Wife Sisterhood you can click HERE to head to our membership options page. If you are a member but not in the Fit Fire Wife group yet and want to join us, CLICK HERE. Beth is going to be keeping us on our toes! Encourage other ladies in the group who might not be able to hit 60 yet, any miles are great miles. If you hit 60 and still have a few days in the month left, KEEP MOVING! If you need a boost of encouragement, pop in the Facebook group and ask for motivation! 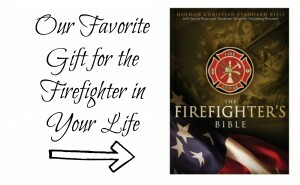 Fire Wife Sisterhood Members can click HERE for a Sisterhood Member special printable! Just saw this!! “Shagging” all around Disneyland? Hahahhahah I think you and I have two different definitions of shagging. (Don’t judge me, I have teenboys and they’ve warped my brain). I’m happy to take the October Challenge! October and the ensuing winter months are much harder for me to be active. Count me in to make me accountable! I would love to join this group. I can’t seem to locate the form. Any chance someone could just add me?? If you go back to the “Join” screen, you aren’t logged in.